"With over 2 decades experience equipping the largest mining and industrial operations throughout Australia, we have the expertise to deliver on your supply requirements." 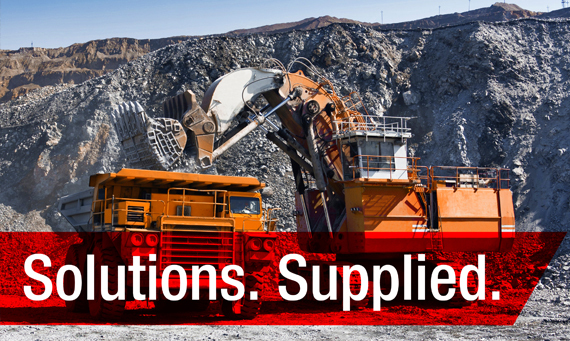 Specialists in mining and industrial equipment, parts, tools, consumables and everything in between! With access to an established global buying network - we can get what you need when you want it. To view our diverse range of products - please click below. Need to contact us? Please submit your request via our online contact form, facsimile or telephone. Upon receipt, your request will be promptly processed by our staff. Need more than just general supply services? We offer a wide range of services from offsite equipment repairs and specialised manufacturing to global product procurement. To view our diverse range of services - please click below. CMPS Supply Solutions have been delivering integrated supply services to major industry and mining operations throughout Australia for over 20 years. Our clients have come to rely on our industry experience to take the complexity out of the procurement process and deliver the level of service required to keep operations running smoothly. Personal attention, efficiency and agility ensures you receive your goods on time, every time. With contracts already in place with some of Australia's largest mining and industrial operations, we have the people, processes and facilities to deliver on your supply requirements. With access to an established world wide buying network, we can effectively source anything from anywhere - fast!